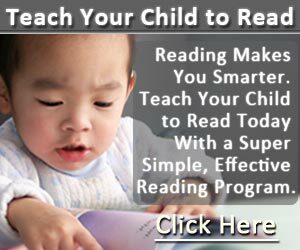 When you’re teaching your child to read, it’s also important to teach your child to comprehend what it is that he’s reading. You want him to learn this when he’s younger because it can impact his learning and study ability once he starts school. 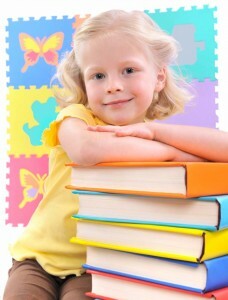 So how to improve the reading comprehension of your child? There are several different things that you can do to help him with this. You can use a talking dictionary. Most families will have one or two dictionaries lying around the house, but having a talking one is better for a child. More fun too! You can find these electronic devices online for anywhere from $30-$80 and it’s going to be a worthwhile investment. I’ll probably start looking for one for Kaden to use when he’s slightly older. With one of these gadgets, your child can hear how the words are supposed to sound when they’re said. There are talking dictionaries that are specific for children so they’re safer for her to use. When your child understands how a word is supposed to sound, it can help her to comprehend the word. For example, she’ll know that the term Appalachian Mountains aren’t ‘apple chain’ mountains as some kids mistakenly pronounce them. Even if you don’t purchase an electronic dictionary, it’s still vital that your kid hears words out loud in order to be able to comprehend what he reads. Reading out loud to him and listening to him read out loud is important. When you read out loud, it allows your child to learn the correct pronunciations of the words in whatever he’s reading. Have a set time every day where you read portions of stories to your child, and where you listen to him to read to you. This way, you can gently correct it when he doesn’t say a word the right way. For Kaden, what we are currently doing is that I’ll pick out two simple readers each day. I’ll read out loud one book for him, and he’ll read out loud the next book. Or if it’s just one book, I might read one page while he reads the next page. You don’t want your child to read simply to read. If she doesn’t comprehend what she’s reading, then she’ll struggle with this later in life. What you can do is to make reading time an interactive time. You can ask questions such as “What’s going on in the story?” or “What do you think is going to happen?”, and it will cause your child to think about the story and what’s going on in it. Because kids can have a tendency to read a story in a run on fashion, you want to make sure that your child understands where he should pause in each story. These pauses can help what he has just read to sink in. If you ask your child a question about what has just happened in the story and he can’t give you an answer, it means he didn’t grasp it. So go back a few sentences, and see if it makes a difference when he reads it again with the correct pauses. When the story is finished, ask your child to give you a summary of the story. Just ask her what the book was about. If you do this on a regular basis, your child will begin to be able to focus, and retell the story back to you in just a few sentences. She’ll get better at remembering the important points in the story, the names of the characters, and as well as the ending. I hope the above reading comprehension activities will help your child. Have you attempted other reading activities that you find particularly effective in improving reading comprehension? I’d love to hear about them!